Wouldn’t it have been so much better for Bryan to admit to feeding his wife information about the team and tweeting on his behalf? At least you wouldn’t look like a fool that your wife was able to do this behind you back for years without your knowledge, and you may even save some face in this whole thing. Hey, I made a mistake. I apologize and it won’t happen again. Instead, you’ve painted yourself as a very dimwitted man. Who wants a dimwit to run their franchise? You really expect any of us to believe that you, Bry Bry, had NO knowledge of your wife running any of these accounts? That you never shared any off-the-record information with her about players, about your personal feelings to the team, or reporters in the city? Weird. I suppose Barbara Bottini has a second career in her as an investigative reporter, because she revealed scoop after scoop on the burner accounts on information NOBODY outside of the organization would ever had known. How did she kow about the Okafor failed physical? The details of the Fultz injury? His shooting struggles and reinventing his shot? SHE’S A REGULAR WOODWARD AND BERNSTEIN I SUPPOSE. Oh yeah, and how did all of those other burner accounts magically go private after The Ringer made it known to Colangelo that he was linked to them? Quite the coincidence, isn’t it? Thankfully the 76ers did what you have to do with rats. They bashed them over the head with a blunt object and threw them out into the gutter. Farewell, Bryan “with a Y” Colangelo. You won’t be missed. 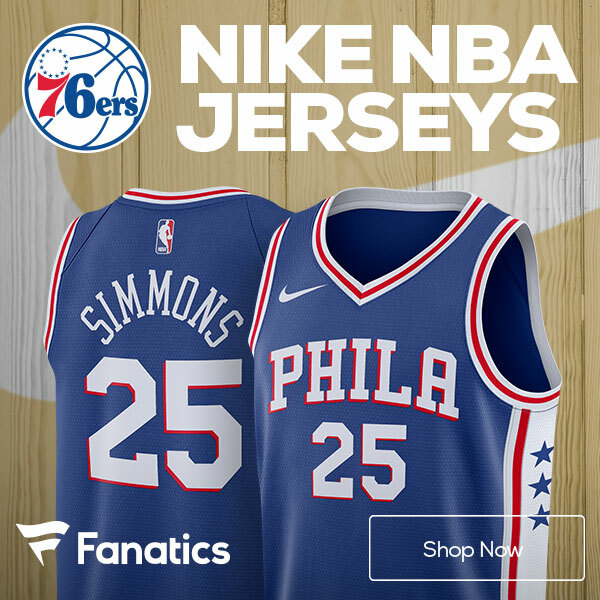 You can buy more 76ers merchandise now that Colangelo no longer represents this glorious franchise.